This might be easy. As you know, when you get blocked by someone, you cannot see their account. If you try to search their username, you will find nothing. Uniquely, you can see their account by searching their username in Direct Message section. Please note, this action can be use if you already talk to them before you get blocked. First Trick, Try to search their account in Search Bar. If you can find them, then you are safe! hehe. But if you find nothing, then you just get blocked by them. Second Trick, Try to find their username in Direct Message section. Believe me, you will find their username even they blocked you. Please note, you absolutely will find them if you didn't delete the conversation before. After that, you can click the Information button on the right corner. 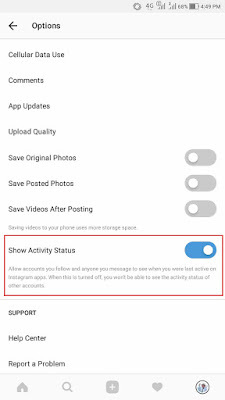 Normal account will show you option like image below. 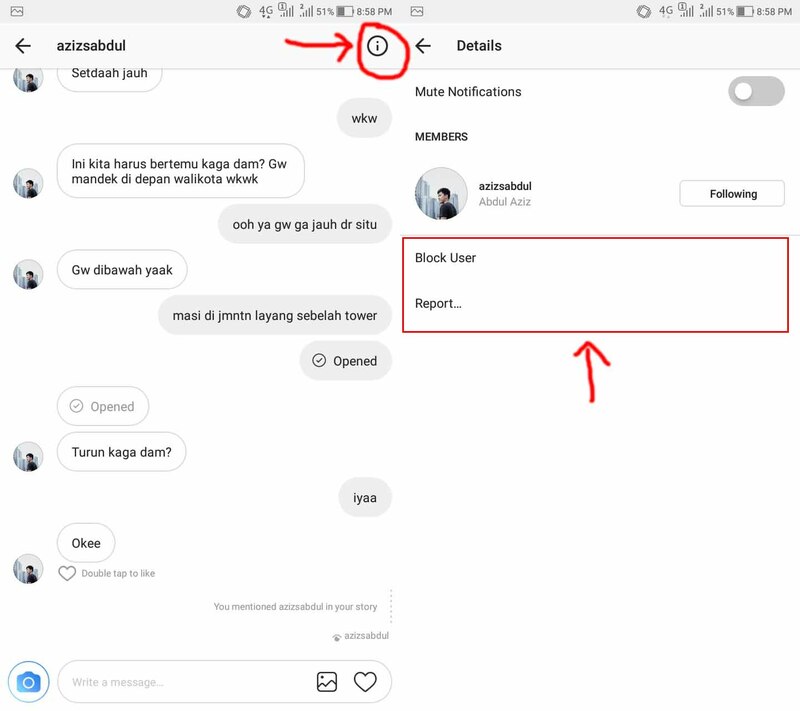 It shows members, block user and report option. If you get blocked by them, you won't see block user and report option as image below. 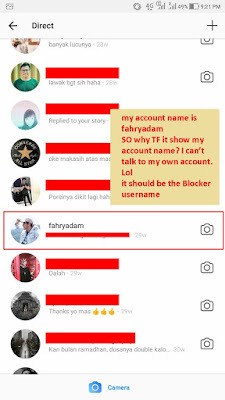 Third Trick, this is the last trick using Direct Message as a way to know who block your account in instagram. In this way, you can try to scroll down your Direct Message conversation. 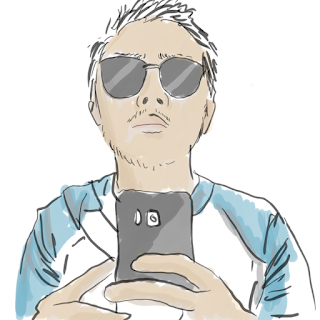 Just scroll it and watch every profile picture that you chat with on the left side. You will see many different profile picture, obviously. Thats your friend. But in some ways, you will see YOUR PROFILE PICTURE!! 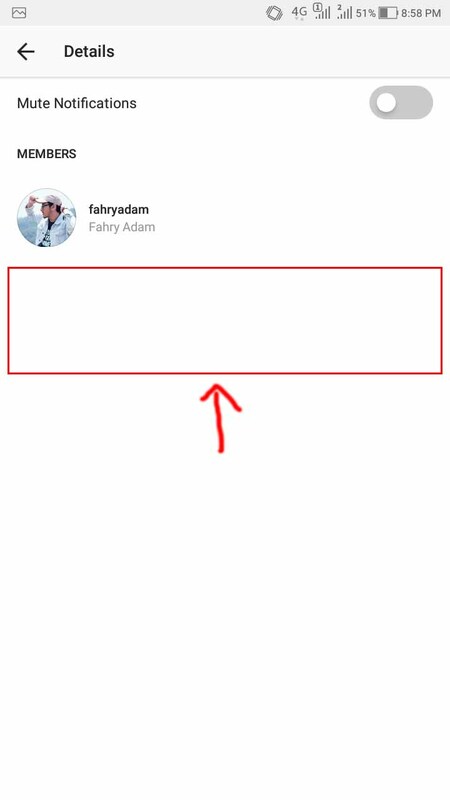 my account is @fahryadam and it shows on my Direct Message. How could i talk to myself? Image above show that you are being blocked by them. Trust me. When you click these conversation, the profile picture in conversation will change to the account that blocked you. Hehe so funny right? But this way can't be used in group conversation. Because you will see your account in these group conversation. 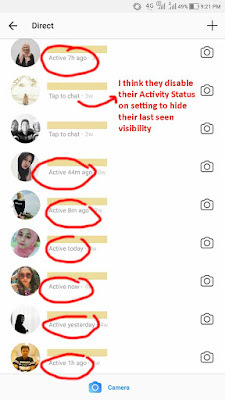 If you were using Whatsapp, then you might be know about Last Seen Activity. For some people, it against their privacy. 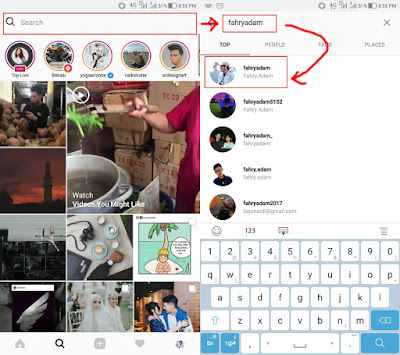 And now, Instagram also doing it. 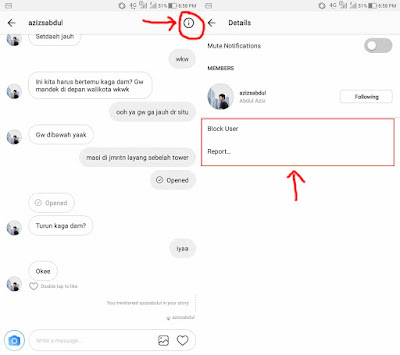 You can check your friend last seen by using Direct Message. Actually I still don't understand the algorithm. Because it only show last seen activity with account that's not chat with us within more than 48 hours until 9 weeks. If you still chat with them in 48 hours, you can't see their last seen activity. Please correct me if I was wrong. As you see on the image above, I can see my friend last seen activity. Although some account shows only 'Tap to Chat'. I think, their account is disabling the Last Seen Activity feature. How to disable it? 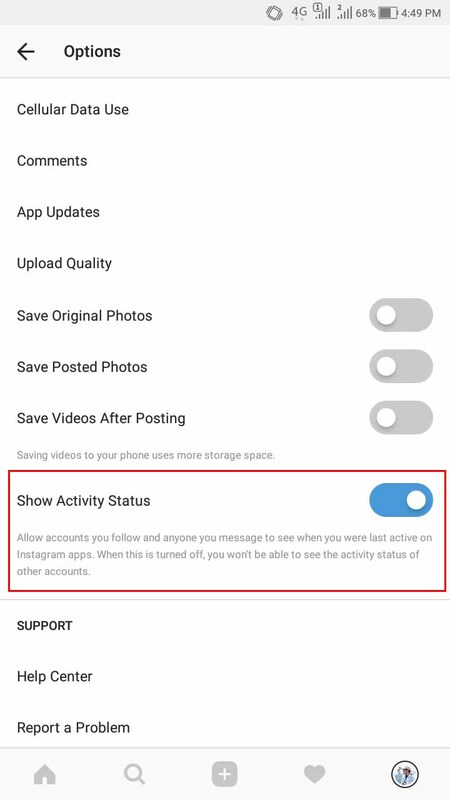 You can go to setting, then uncheck "Show Activity Status". 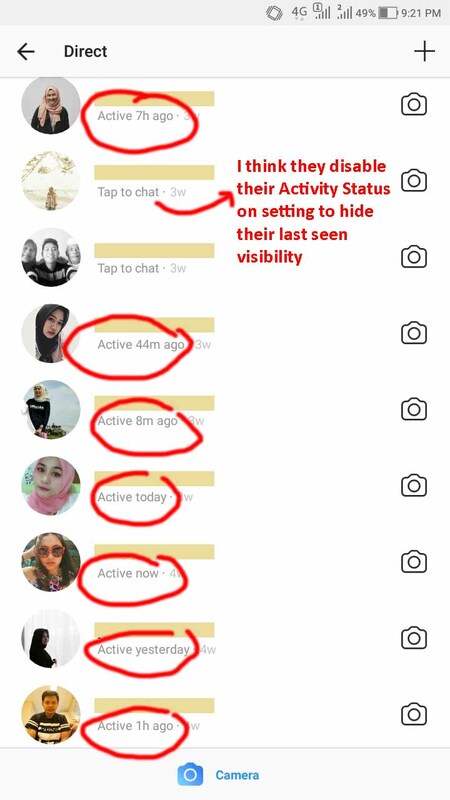 It will make you invisible, but you can't see your friend last seen activity. Win-win solution. Just like Whatsapp. 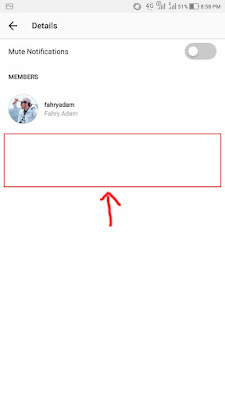 For the account that showing text message, it means that your message is not approved by them. I tried to do it when sending a message to bigger account. Please tell me if you can try this trick too on comment below. See ya!